Charles, Duke of Brittany in the fourteenth century, was a brave soldier who was forced to wage a life-long war and lost his life on the battlefield. He was also an exemplary Tertiary of St Francis who wore a hair shirt and daily assisted at Holy Mass and recited the divine office. About six hundred years after his birth he was enrolled among the blessed by the Holy See. Born about 1316, Charles was the son of Louis de Chatallon, Count of Blois, and Margaret, sister of King Philip VI of France. Even as a boy he was known for his virtue as well as his bravery. 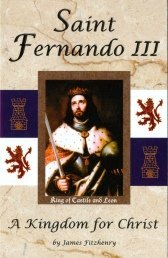 When he was twenty-five, in 1341, he married Joan of Brittany and thus became Duke of Brittany. However, his uncle, John de Montfort, refused to recognize Charles’ rightful claim to the dukedom. Charles did all he possibly could to settle the matter peaceably, but his efforts were in vain. A bloody was of four years ensued, during which Charles succeeded at first in repelling the attacks made upon him. 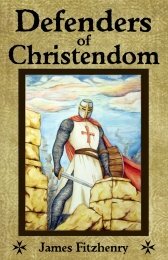 The duke was a model Christian soldier. He required his soldiers to attend Holy Mass daily. 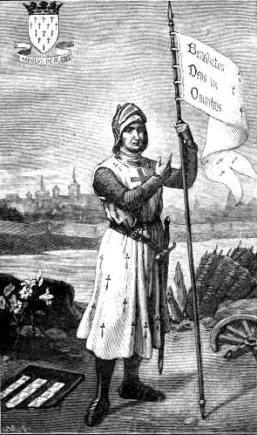 When they objected, Blessed Charles of Blois replied: “We can afford to lose castles, but we cannot let a day go by without attending Holy Mass.” He made careful provision for those who were wounded in battle; and to help his fallen soldiers, he founded religious houses where Masses were celebrated and prayers were offered up for the repose of their souls. After four years of fighting, de Montfort obtained help from England and defeated Charles in a decisive battle. Charles was taken prisoner and held by the English in the Tower of London for nine years. There he lived like a recluse, devoting much time to prayer and never showing any signs of impatience, so that even his jailers were edified. Finally Charles was released and returned to Brittany; but his implacable uncle renewed his attacks on him, until in the battle at Auray, on September 29, 1364, Charles was killed, fighting bravely. 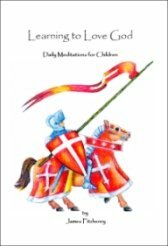 On that day, Blessed Charles of Blois had prepared himself for battle by receiving the sacraments with such devotion as if he knew that he would not survive. Soon after his death, miracles were reported at his grave, and the people began to venerate him as a saint. This cult was kept up through the centuries; and on December 14, 1904, the Holy See gave its official approval and thus declared him blessed.